Tribute 1 Insect-Type Monster on your side of the field. 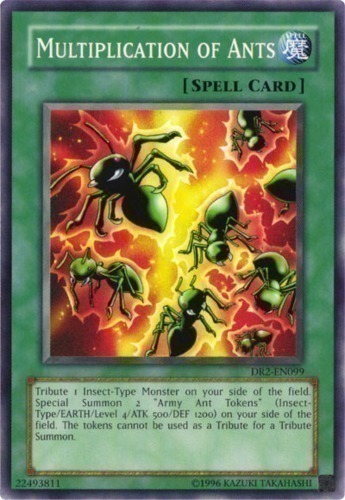 Special Summon 2 "Army Ant Tokens" (Insect-Type/EARTH/Level 4/ATK 500/DEF 1200) on your side of the field. The tokens cannot be used as a Tribute for a Tribute Summon.